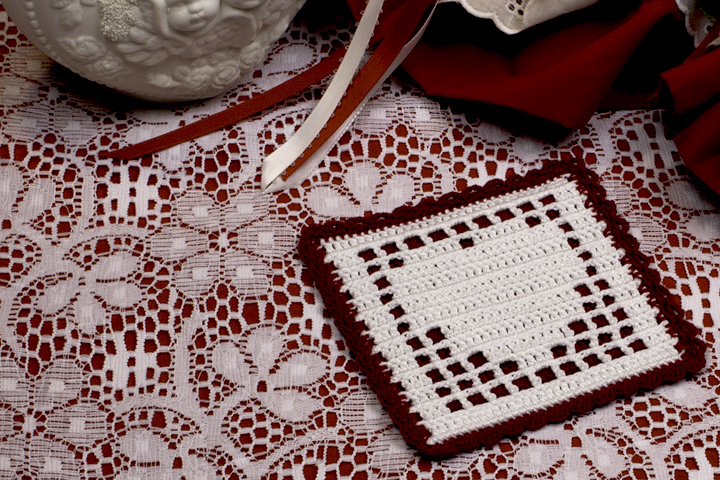 If you’re new to filet crochet, this coaster is the perfect project to practice your new skills. It’s made with 2 layers for added absorbency, with a simple edging added around the doubled layers. Why not make some of these coasters today for the special Valentines in your life! The pattern includes written instructions and a filet crochet chart.